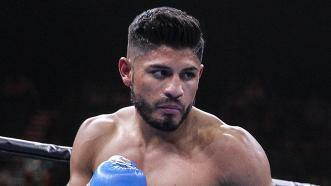 Abner Mares has always been that fighter you want to see do well. He is never looking to fight a patsy. He wants to tangle with only the meanest hombres. It’s his credo. “Definitely, definitely,” said Mares, of Hawaiian Gardens. “It will grab people’s attention and that’s the key point I want to make. I’m the type of fighter that wants to leave his career known as the fighter that never took an easy route and faced the tough fighters at their moment, at their times. And God willing, always came out on top. Mares has a tough list of opponents adorning his ring record. 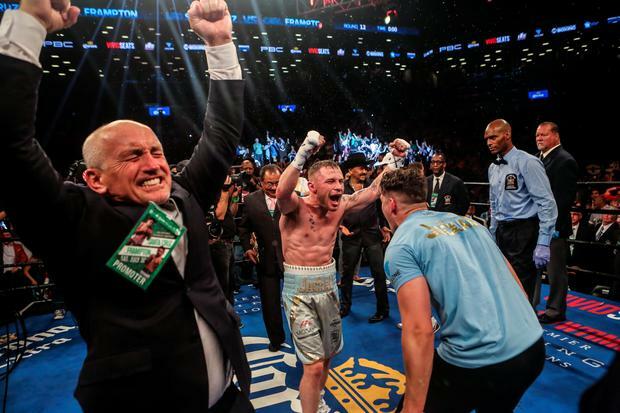 In his most recent start, he lost a grueling 12-round decision to fellow Angeleno Leo Santa Cruz in a battle for a vacant featherweight title in August at Staples Center. Mares, who has won titles in three weight classes, dusted himself off and has for the past several weeks been preparing himself for yet another top-line fighter by the name of Jesus Cuellar of Argentina. Mares (29-2-1, 15 KOs) on June 25 will challenge Cuellar (28-1, 21 KOs) for his featherweight world title at Barclays Center in Brooklyn (on CBS, 6 p.m. Pacific time). This is a crossroads fight for Mares. At 30, he is getting to that age when a fighter in the lighter weights begins to show the wear and tear of many ring wars. Even though he distinguished himself respectfully enough against Santa Cruz, Mares changed trainers, going from Clemente Medina to Robert Garcia. Mares wants to know what he has left, and apparently he believes the best way to find out is to take on champions. “Well, definitely what I want to prove to myself is that I still belong in this level type of fight against top fighters such as Cuellar, Leo or any other top-flight featherweight,” Mares said. “And I think the reason that, my two defeats, when you just go through them real quick, first-round knockout against Jhonny Gonzalez (in August 2013). It was just, he caught me cold. Mares, an Artesia High graduate, is certain he still has the goods. But again, Mares is trying to prove he’s still elite against a hard-hitting southpaw world champion whose only loss came nearly five years ago. Cuellar spoke like this could quickly turn into a toe-to-toe slugfest, so he must have something up his sleeve. Abner Mares of Hawaiian Gardens has lost only two fights during what has been a fine career that has seen him win world titles in three weight classes. Those two losses – to Jhonny Gonzalez and Leo Santa Cruz – have come in his past five fights. 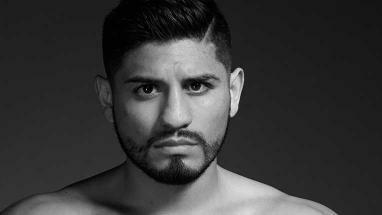 Mares lost a majority decision to Santa Cruz this past August in a battle for a vacant featherweight world title. That doesn’t mean Mares (29-2-1, 15 KOs) wants a soft touch so he can get back into the win column. One look at Mares’ ring record and one knows that’s not Mares. It’s therefore no surprise that Mares will next be challenging Jesus Cuellar (28-1, 21 KOs) of Argentina for his featherweight title June 25 at Barclays Center in Brooklyn (on CBS). Mares only wants the hard fights. Mares and Cuellar will tangle underneath the welterweight title fight between Keith “One Time” Thurman and Shawn Porter.